Visitors Asked To Take "Bend Pledge"
BEND, OR -- A new initiative encourages tourists to promise to be good. 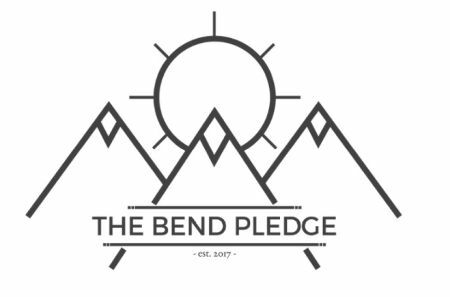 Visit Bend CEO Kevney Dugan says the idea behind the “Bend Pledge” came from Iceland, "It’s in similar vein, about just being creative about what the community values of Iceland are; and their own creative way of sharing that with potential visitors." It includes vows to be respectful of Bend’s indoor and outdoor spaces, and to make memories not new trails. "Our intent is to try to remind people that, when the Forest Service or anybody else creates a trail through the woods, it’s been done because it’s taken into account ecological factors, wildlife, recreation values, etc. And that, by just going off trail and creating your own trail, you’re potentially having a bigger impact than you think you do." Dugan says it’s part of an overall effort to get people to leave the community better than they found it, "As we continue to grow and as visitors continue to experience this place, does an organization like Visit Bend have a role in also protecting said place? We want to make sure that 20 years down the road, my kids/people who visit here are still awarded this really fun, beautiful, pristine experience." Dugan tells KBND News the local initiative, which launched last week, fits well with the ongoing "Visit Like A Local" campaign, "What the ‘Visit Like A Local’ campaign didn’t allow for was an enter-to-win-type of program. Now, when you go to the Visit Bend website, you can click on this link, read these 10 bullet points and get an understanding of some of these things that we, as a community, value and then enter to win a vacation to Bend." Each year, Visit Bend will randomly select two people from among those who take the pledge on its website, to win a three-night vacation, including lodging, food and activities. I vow to be a respectful guest in Bend's indoor and outdoor spaces. I'll make my own memories, but not my own trails. I will be responsible with fire during dry summer months and with ice on slick winter roads. I won't risk life or limb (human or sapling) for more likes. I'll be friendly and courteous, because that's the Bend Way. If I can't find a parking spot, I will not invent my own. When playing outside I'll prepare for shifts in weather and random episodes of magic. I'll pack in reusable containers and pack out all my trash. I will use my turn signal often and my car horn seldom. I promise to leave Bend better than I found it.